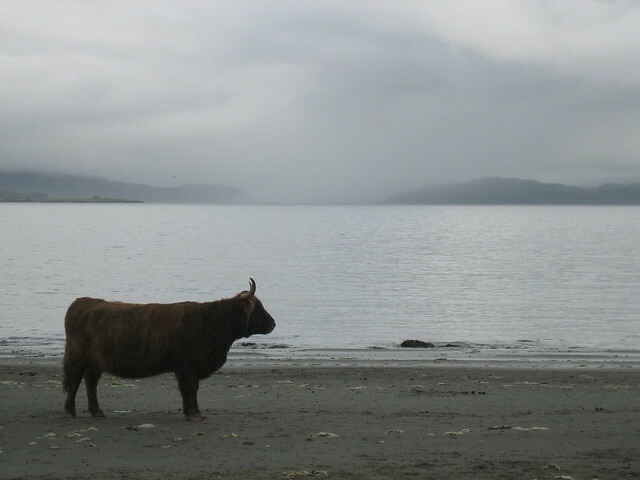 This cow was spotted along with a load of its friends and family on a day out to the beach. It wasn’t the best weather for a beach holiday but they seemed to be enjoying themselves on the beach around the corner from Grasspoint cottage, on the Isle of Mull, Scotland. Do you think its contemplating putting its Speedos on and going for a swim? I would say that Scotland is an amasing country, especially the Highlands. the nature there is so misterious. Ah, yet another reason to go to Scotland – surfing cows! There’s no better time than right now either. Anyone looking for jobs in the Highlands should definitely give us a look!